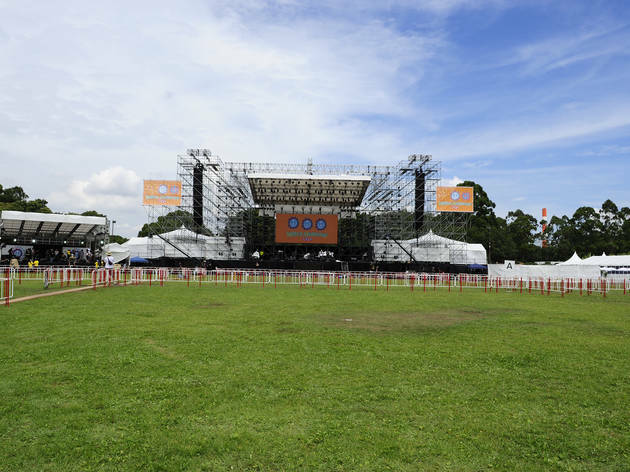 Yellow Magic Orchestra's Yukihiro Takahashi started this family-friendly jamboree with art director Mitsuo Shindo in 2008, and it remains the only major summer music fest that takes place within Tokyo proper. 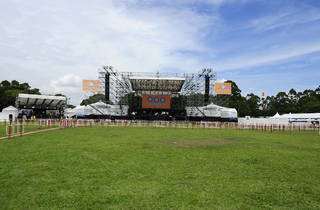 World Happiness is held on a verdant bit of landfill near Shin-Kiba Station, where a diverse lineup of Japanese acts perform relay-style on a pair of stages. This year's runs the gamut from quirky J-pop (Kaela Kimura, Kyary Pamyu Pamyu) to jazzy rock (Ego-Wrappin') to hip hop (Kreva) – and, as per usual, YMO themselves will be claiming the headliner slot. Note that the crowd is divided into pre-reserved blocks, so it's worth getting your ticket early if you don't want to end up stuck right at the back of the crowd.